The spur gear comes into contact with the worm at its threaded middle section. If the spur turns, it causes the worm to rotate. If the worm rotates, it causes the spur to turn. 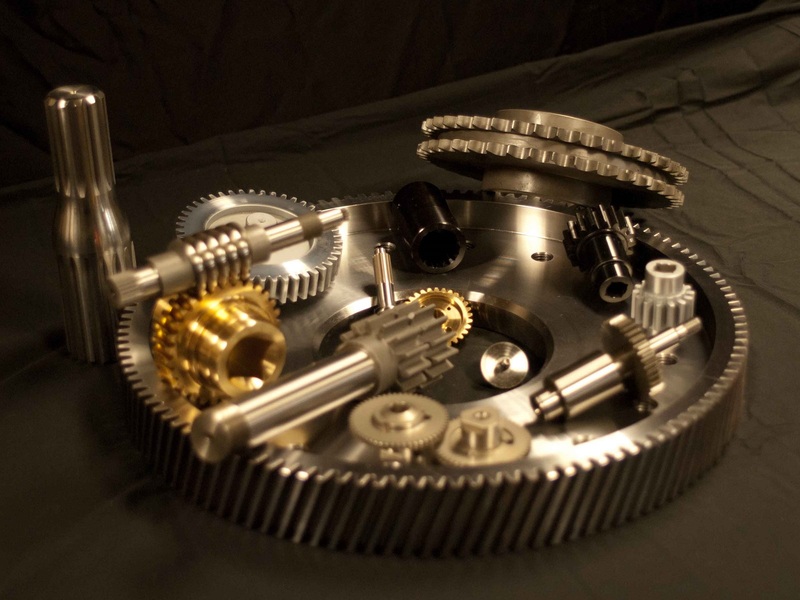 Worm Gears – Commercial Gear & Sprocket Company, Inc. Worm gears are used to transfer torque, just like all other industrial gears, but they are capable of transferring motion at odd angles or under unusual circumstances. The tuning pins of a string bass, for example, are connected to worms, which themselves are connected to gears. Those gears are connected to rods, which are themselves each connected to a string. The worm gear is capable of resisting the tension of the string, keeping the instrument in tune. 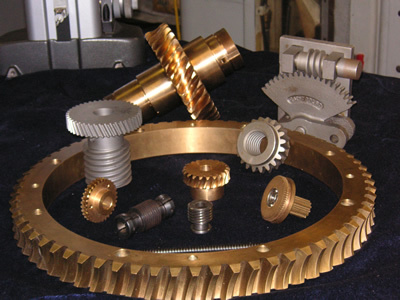 Worm gears are usually constructed of bronze, iron, or steel, but are available in a wide range of material options. Worm gears are not a recent advancement in torque transmission technology; original worm gear configurations were made of wood and were often attached to hand cranks. Worm gears can transfer motion between axes. A gear’s axis, in the case of a circular gear viewed at its face, extends from the middle of the circle out into the z axis. In the case of a worm, the axis goes through each end. The axes of worms and circular gears intersect each other when they are paired together. The transfer of torque between two axes is one of the defining features of a worm drive. Another defining feature is the control over that transfer that the configuration allows its users. Worm drives can be used to either speed up or slow down the transfer of torque. They can also multiply or resolve torque or enhance the accuracy in positioning systems. Worm and spur teeth quantities, pitch diameters, face widths and lengths are all contributing factors to the performance of a worm gear. Power transmission requirements, noise and heat generation all depend on those configurations. For less demanding applications, some worm gears can be made of synthetic materials like nylon and other plastics. Worm Gears Worm gears are the combination of a simple spur gear and a worm. A worm is a threaded metal rod that looks like a screw. Worms distinguish themselves from screws in that they are only machined in the middle; the threads do not begin or end at either end of the rod.